StreetSigns Center for Literature and Performance is an award-winning professional performing arts and educational center. Founded in Chicago in 1992, StreetSigns has presented more than fifty productions in its more than twenty-five-year history. 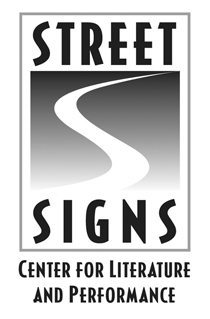 StreetSigns has worked in partnership with Northwestern University, the Department of Communication at the University of North Carolina-Chapel Hill, and Georgetown University, always dedicated to the development and presentation of new literary adaptations, company created theatrical works, innovative new plays, and bold re-imaginings of classics. StreetSigns is committed to celebrating its region’s rich oral and written traditions, and to engaging cultural and political issues through performance.